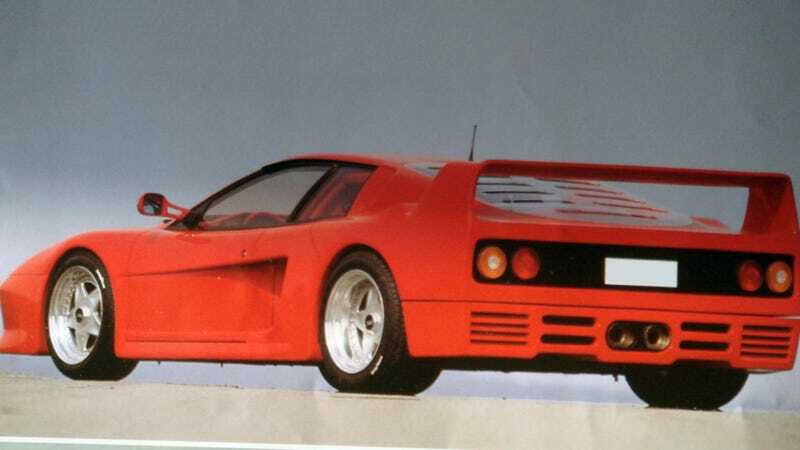 If you had a Ferrari Testarossa back in 1989 but wanted the performance and the looks of Enzo's last child, the F40, all you needed to do is ring up Lotec. Those crazy Bavarians could help. You know what&apos;s even better than a Ferrari? An old-school Ferrari, that&apos;s what. In the late eighties, it was pretty much a choice between Lotec and Koenig depending on what you were after. And while the former is mostly known for its insanely fast Mercedes-powered creations, they also figured out how to twin-turbocharge the Testarossa's 5.0-liter 12-cylinder boxer in order to get 780 horsepower and 678 foot-pound of torque out of it at 12.3 psi of boost. For $99,900, Engage Ridiculous Speed! But the tuning didn't stop there as the factory body panels gave way for an F40 lookalike made of carbon-kevlar composites just like on the original, and massive AP brakes and a fully adjustable suspension were installed in order to keep the beast on the road. The TT1000 promised to give its owners a thousand horsepower at higher pressures, and with all that kraft attacking the 335/35/17 rear tires, acceleration was down to 4.8 seconds simply due to the lack of grip. Lotec's Testarossa topped out at 220 mph if you dared to put your foot down long enough. The only real problem of the TT1000 was that it cost five times as much as the base car and three times as much as an F40 in 1989, making the whole concept rather pointless. This is a closeup of one of the Ferrari 458 Speciale&apos;s special parts. Do you know what it is?